THE VISION towards the realization of the Soweto Country Club eventually opening its gates as a world-class golf course, took yet another leap forward with the playing of the 2018 edition of the Mayoral Charity Golf Day, at the Wanderers Golf Club. It was a case of big business clubbing together toward the development of two golf courses, as the charity event was staged toward the currently-under-development, Soweto topographic landmark’s benefit – whilst the day also served as a sod-turning marker for a R2 billion re-modelling of the Illovo located counterpart! City of Johannesburg Mayor, Herman Mashaba watched the progress of his put on the Wanderers Golf Club greens pending the playing of the 2018 Mayoral Charity Golf Day. Image Jacob MAWELA. 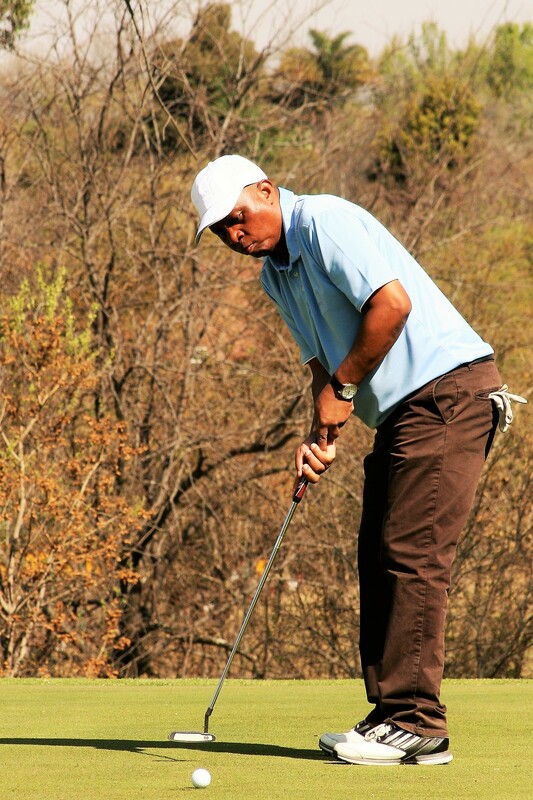 Golf-playing executives and sporting stars such as Mike Mangena and Pollen Ndlanya joined City of Johannesburg Mayor, Councilor Herman Mashaba for a Friday chase-around, around the 18-hole course – in aid of what the metropolitan authority has dubbed a Joburg Open Legacy Project. Partner for the event, Kaya FM broadcasted from the host clubhouse’s balcony, with sport presenter, Mosibudi Whitehead anchoring his afternoon show, whilst guests such as fellow airwaves personality, Metro FM’s Rams Mabote milled about mingling with fellow handicappers. Hoping to raise a figure of R1 million, the purposeful shindig witnessed a total of 128 golf players participating in a four-ball alliance format on the northern Johannesburg venue situated adjacent to cricket’s famed bullring. The refurbishment of the Soweto golf course, which started in February from designs by golfing legend Gary Player, forms part of the overall Soweto Country Club upgrade project. Work is expected to be completed by December 2018 and the club will host all PRO-AM tournaments for the Joburg Open. The country’s only 18-hole golf course in a township, the Soweto Country Club is expected to be on par with the rest of major courses in the country. “The course will be right up there with the rest of other top golf courses in the country. It didn’t have bunkers before, but now it will have lots more bunkers to make the game more exciting,” said City of Joburg Director of Events Bongi Mokaba. Caddies who haven’t had work as a result of the extensive refurbishments, which include creating a dam and pump station and a wetland to bring back bird life and a driving range – have been absorbed as the workforce to carry out the major reconstruction work. The Soweto Country Club has already been refurbished with a new clubhouse, practice facility, conference center and halfway house. “The refurbishment will benefit the residents of Soweto, as well as the people from surrounding areas and will go a long way towards creating business and job opportunities, as it has the potential to increase access to major sporting codes and other major tournaments,” said Mokaba. 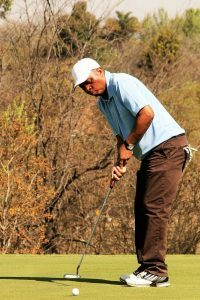 Former caddy Sibusiso Ngcobo pointed out, “When I joined, I learnt to lay green from scratch and T-boxes. We are currently planting greens and putting fertilizers under cover.” The ongoing work has ensured that Ngcobo has had a steady source of income since February, when the Pimville course closed its gates. Mokaba said the eventing side of the Soweto Country Club will complement activities in the club house, with the facility capacitated to hosts weddings and functions for Soweto residents and those from outside of the township. “Tourists who always drive around the township need to come in have lunch and ultimately see Soweto in its fullest context,” said Mokaba. Judging from her enthusiasm, and with all hands on deck, Soweto residents can look forward to a positive and sporty start to 2019, when the golf course will be opened for playing! The golf day wrapped up with an evening prize-giving dinner which, inter alia, acknowledged the contribution of various stakeholders and sponsors. With invitees aptly washing down the fare with Ernie Els Clubhouse Selection wine, Idols crooner, Karabo serenaded ears with, among other hits, an Al Greene standard – to sum up what was truly a beneficial effort for everyone concerned.